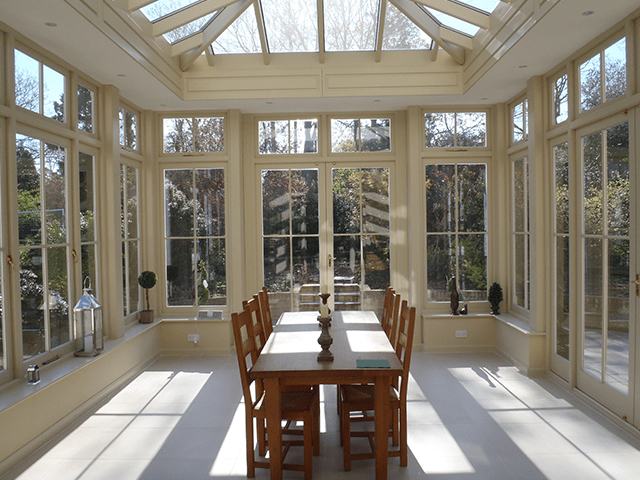 Orangeries are timeless classics and an attractive alternative to a conservatory for adding additional space to your home. Originally developed in the 17th century to protect plants over the winter, the orangery has since evolved and is now more popular than ever. With more substantial walls than a conservatory, the orangery can support a glazed lantern and the solid sides make it more suitable for kitchen and dining room extensions. The glazed elements of your orangery can be constructed in any of our materials: aluminium, PVCu or timber.